Line a baking sheet with parchment paper and spray lightly with cooking spray. Wash the apples well, then dry them thoroughly. 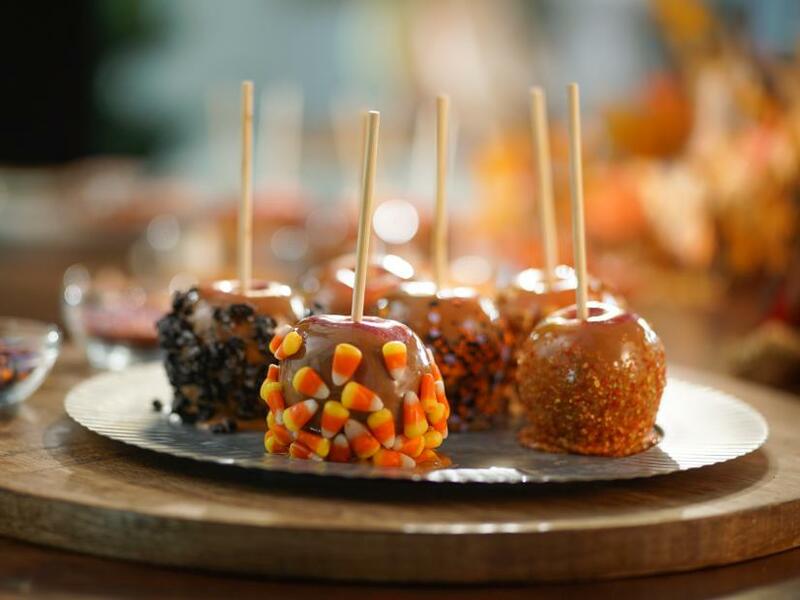 Insert candy apple sticks into the stem end of the apples. Combine the caramels, cream and salt in a small saucepan and heat over medium-low heat, stirring occasionally, until thoroughly melted and smooth, 7 to 8 minutes. 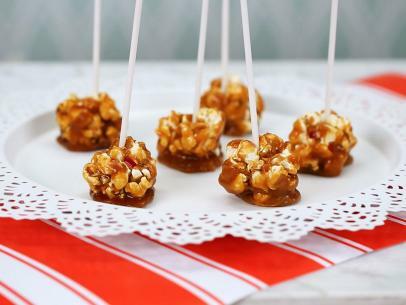 Dip an apple into the caramel, tilting the pan if necessary to ensure the apple is well-coated. Roll the apples in the garnishes if using. Repeat with the remaining apples and caramel. Cool completely on the parchment paper, 20 to 25 minutes. Remove from the paper and serve.